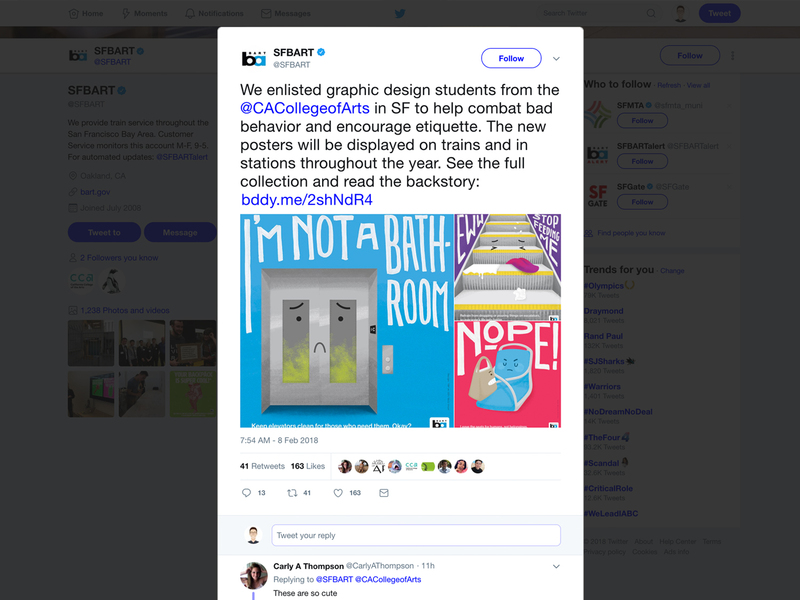 A part of an etiquette poster campaign created by TBD* at CCA for Bay Area Rapid Transit, as known as “BART.” With a list of customers complaints, BART asked us to create a fun, cheeky, buzz-creating campaign that encourages behavior change or cooperation. 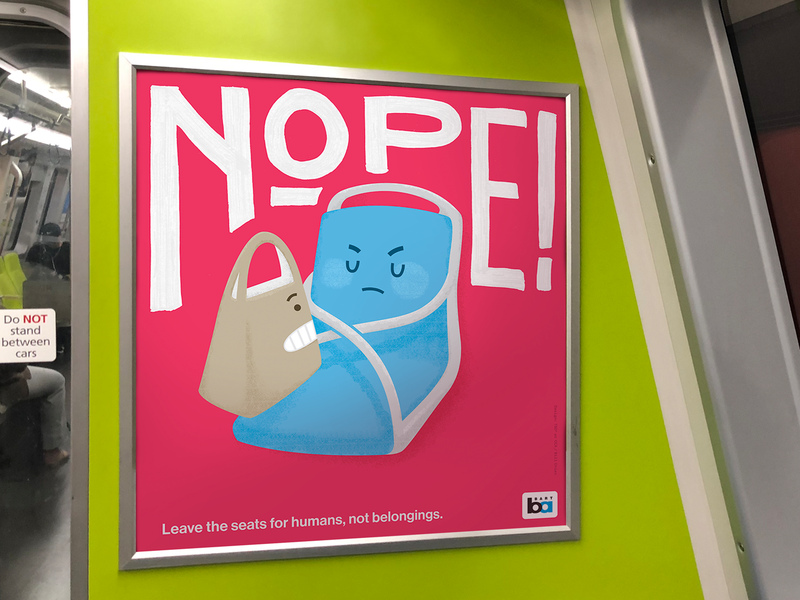 This poster series addresses elevator cleanliness, littering, and riding behaviors. 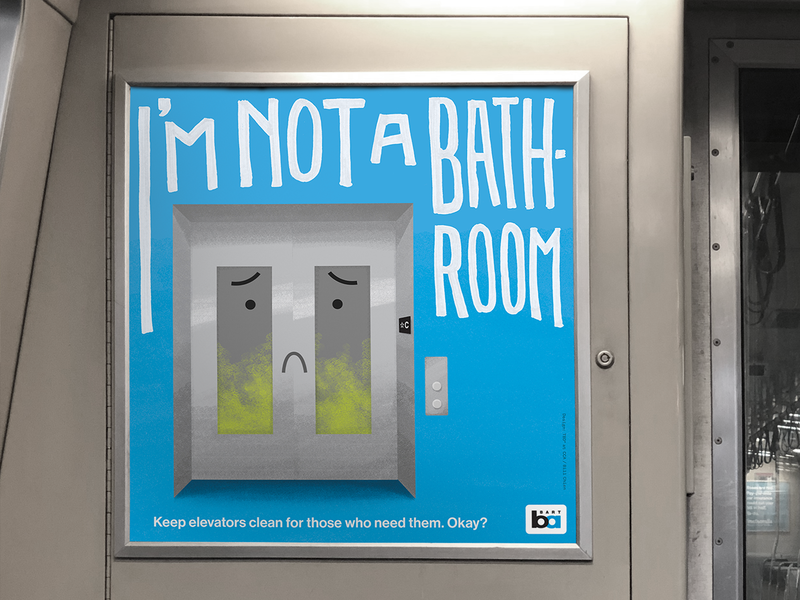 By infusing personalities into everyday objects and fixtures in cars and stations, this poster series encourages passengers to take care of BART as well as care for each other. 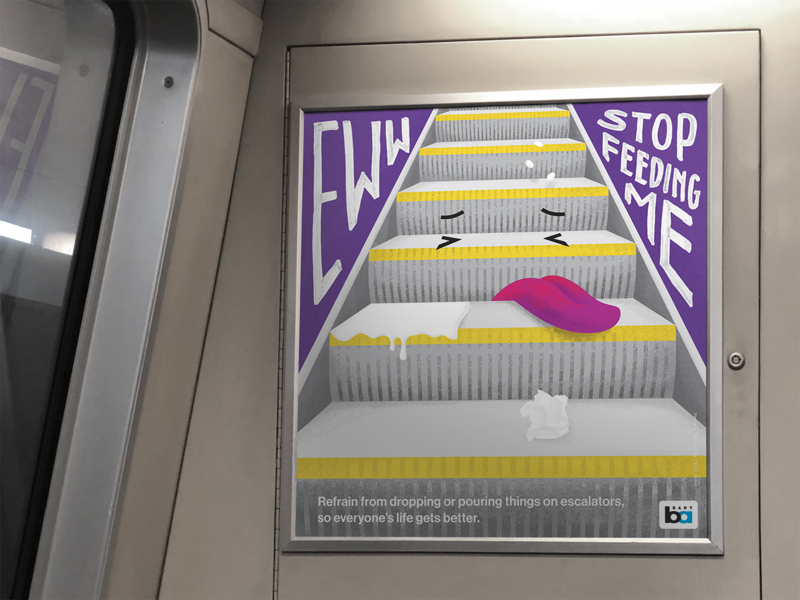 The posters launched in early February 2018 and continued shine on BART cars. 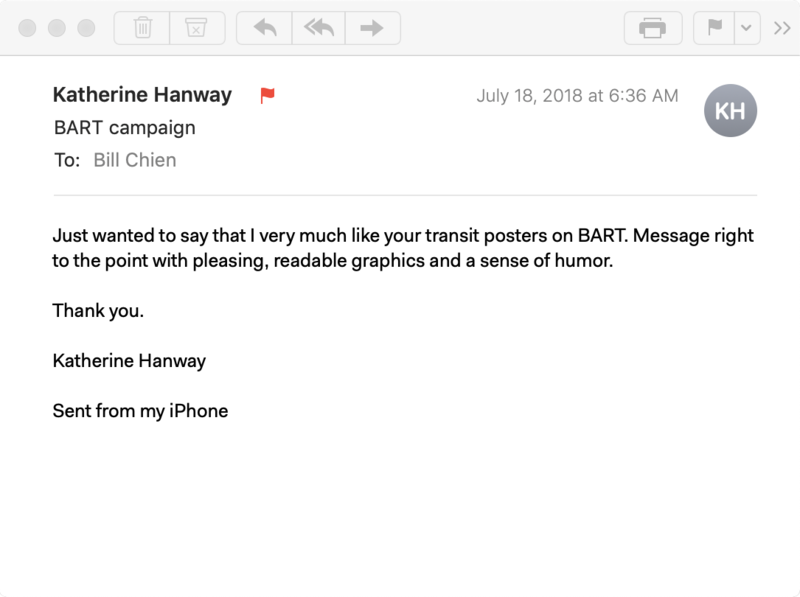 It was announced by BART official accounts and covered by local news media. As BART riders ourselves, we are motivated by the aspiration to create a more inclusive, friendly riding experience in BART. 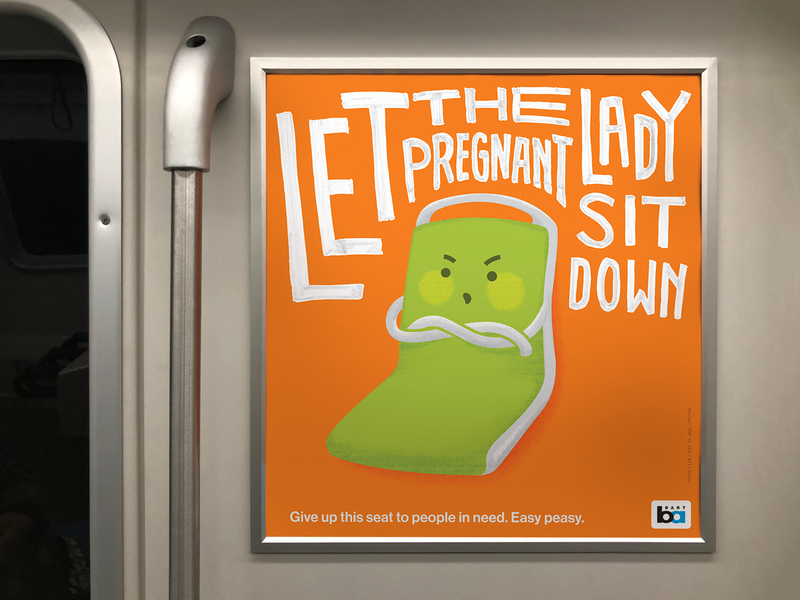 After interviewing the passengers and brainstorming together with BART employees, we realized we need to take a more creative approach to shape a courteous riding environment. There are too many etiquette signs and posters tell us NOT to do something. 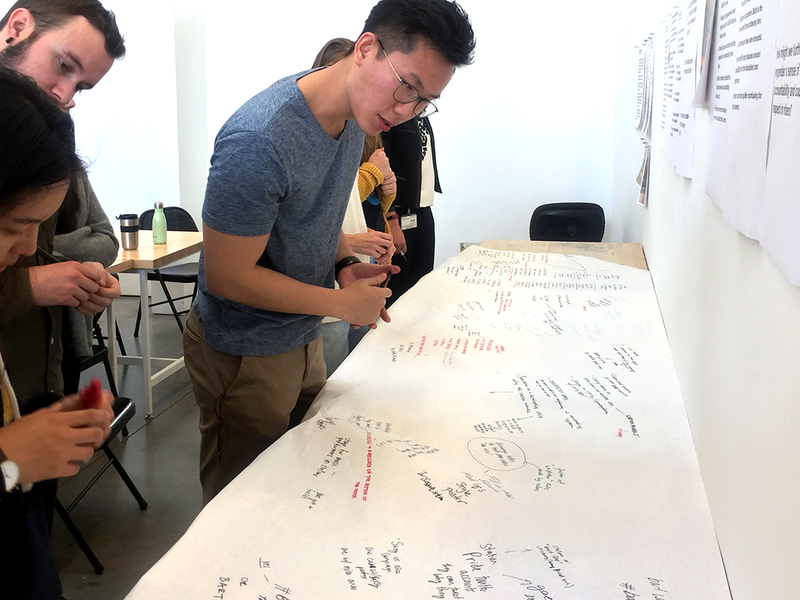 Pointing fingers is straightforward, but it’s not the most thoughtful way to convey a message. 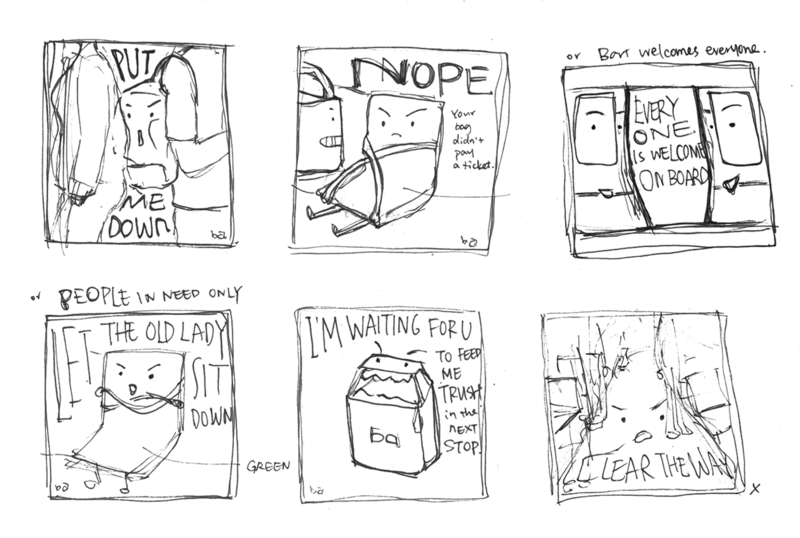 What if everything around us has a voice and feelings? What if it’s not about who behaves poorly, but about things that are hurt so that we should give them some love?